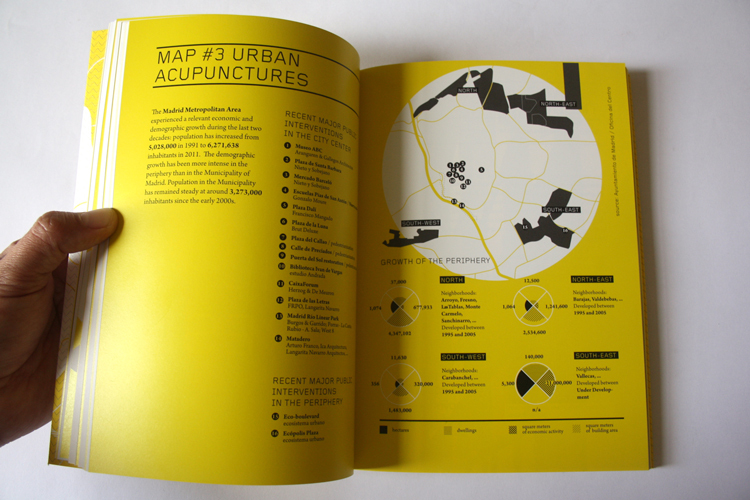 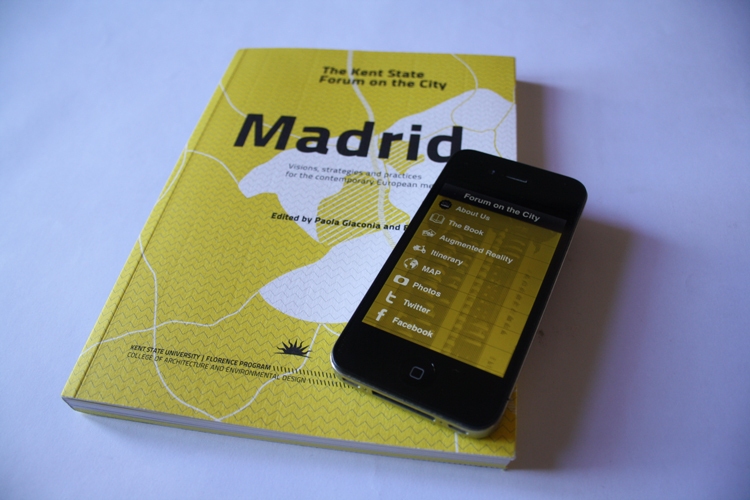 This project for the Kent State University, Florence Program goes beyond the traditional concept of a book: it is a manual, a tool to understand the transformation of Madrid in the past years. 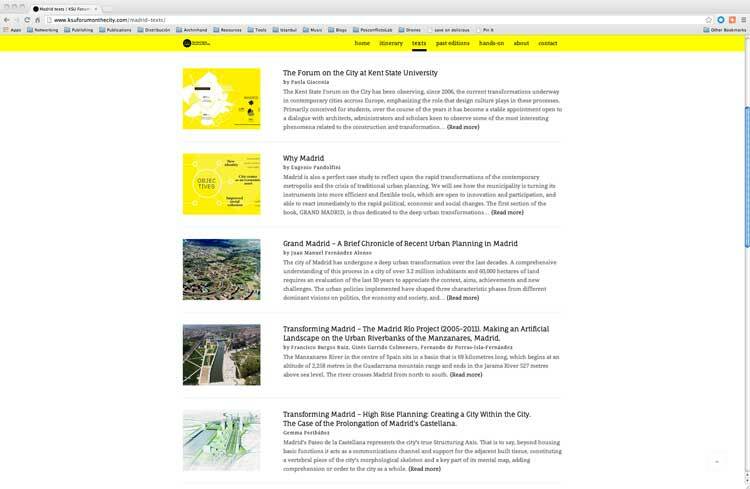 It will allow the reader to get to know the projects which represent such transformation and locate, classify, activate and even transform this content. 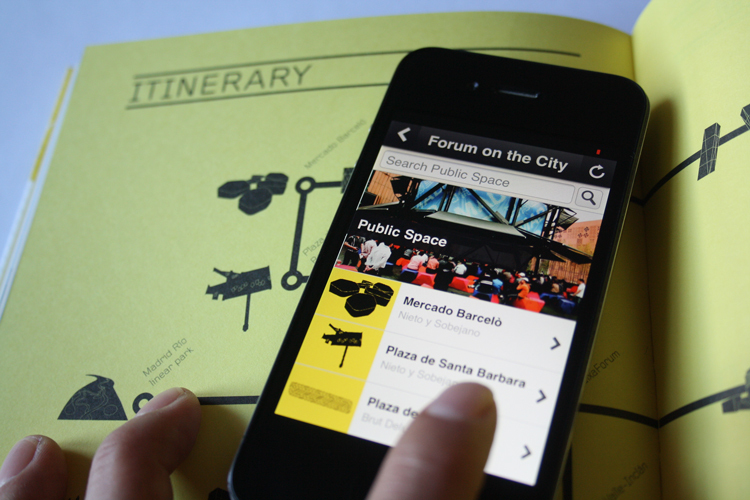 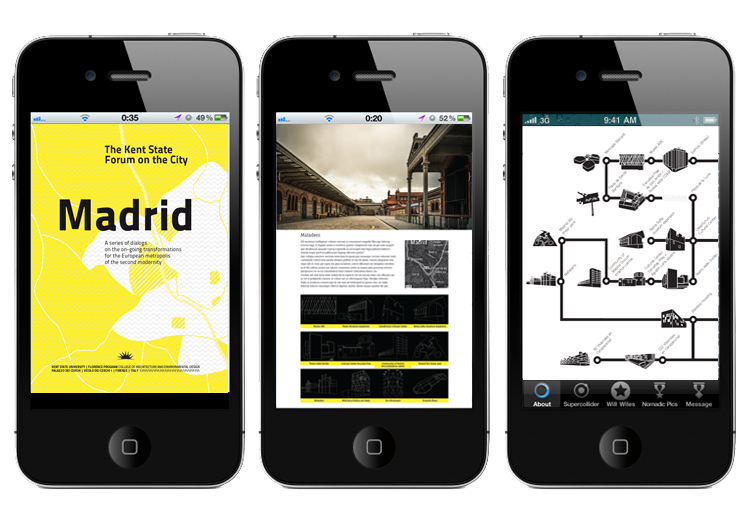 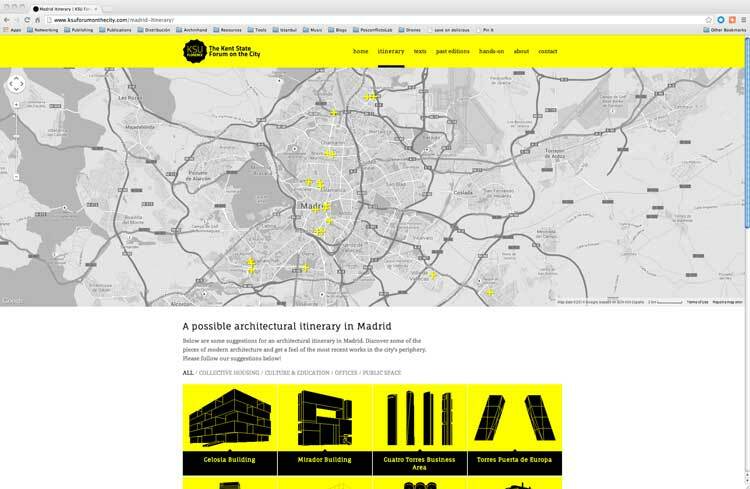 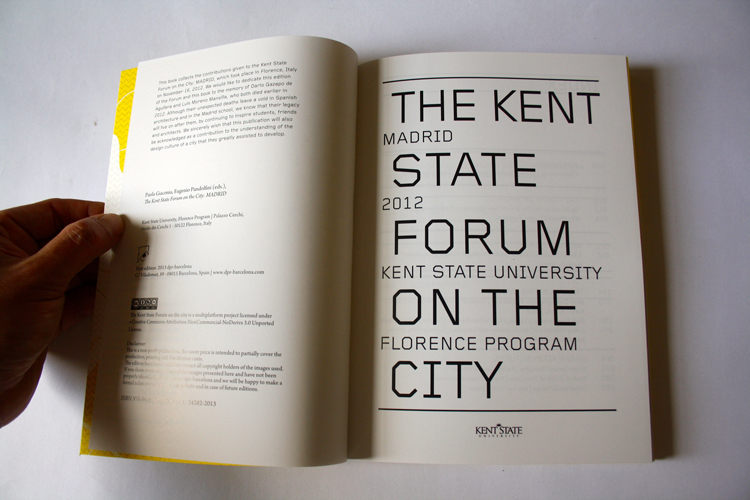 As a tool to enhance conversation and exchange of knowledge, The Kent State Forum on the City: MADRID is a multi-platform project: Book + Web + App, all of them complementary and inter-connected, reflecting new trends in publishing practice through the acts of research, archive and exchange. 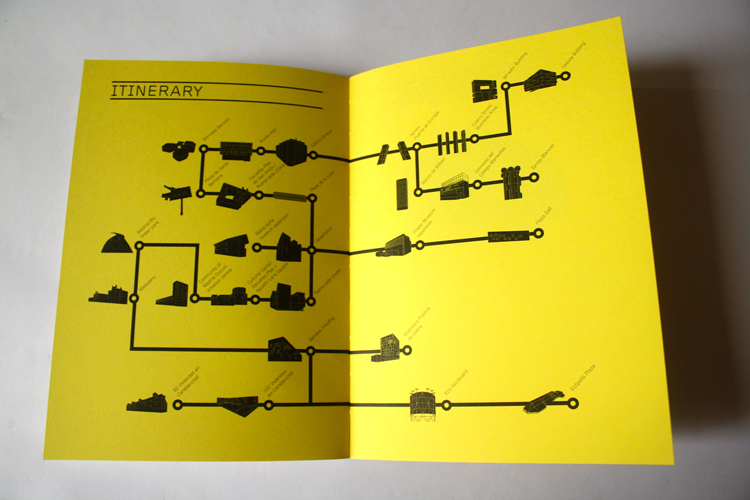 It won't be static: it will grow by expanding its contents with new projects and transformations in the years to come. 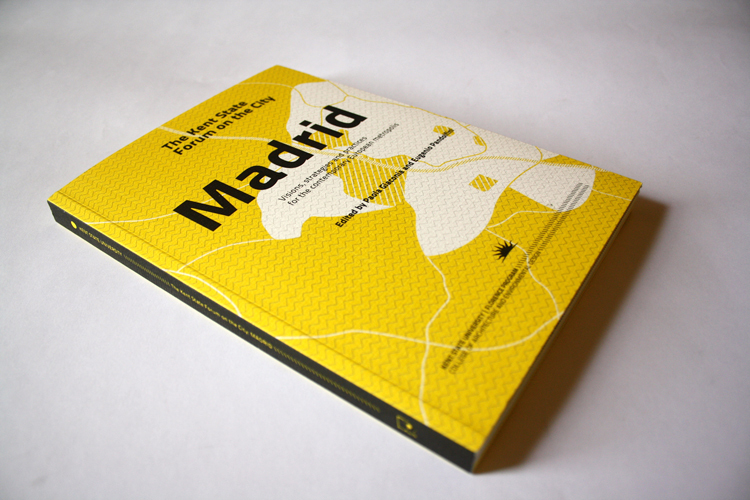 This way all the books and cities will be interconnected and will make it easier to understand transformations underway in a wider territory: Europe. 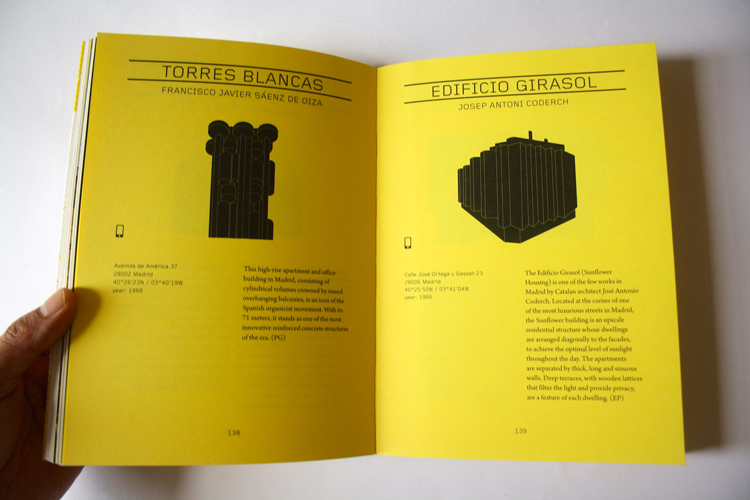 With contributions by Burgos & Garrido arquitectos, Andrés Cánovas Alcaraz, Domenico Di Siena, José María Ezquiaga Domínguez, Juan Manuel Fernández Alonso, Davide Tommaso Ferrando, Paola Giaconia, María Belén Hermida Rodríguez, Juan Herreros Guerra, Eugenio Pandolfini, Salvador Pérez Arroyo, Gemma Peribáñez Ayala, Porras - La Casta arquitectos, Rubio y Álvarez-Sala, Federico Soriano Peláez, José Luis Vallejo Mateo, Gianpiero Venturini, West 8. 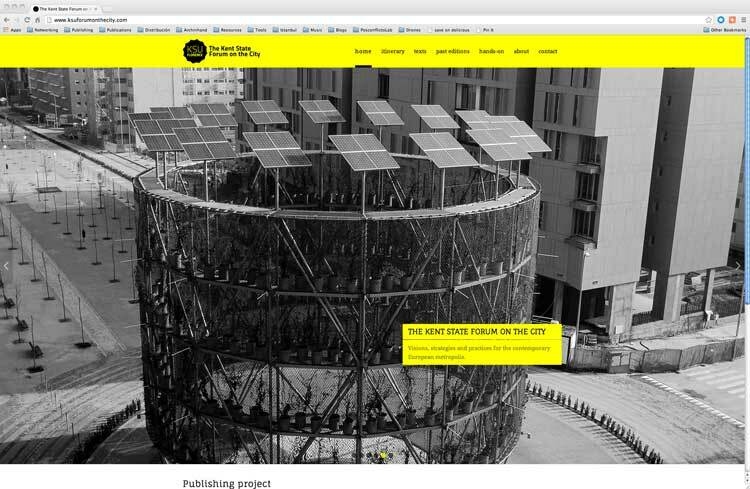 Edited by: Paola Giaconia, Eugenio Pandolfini. 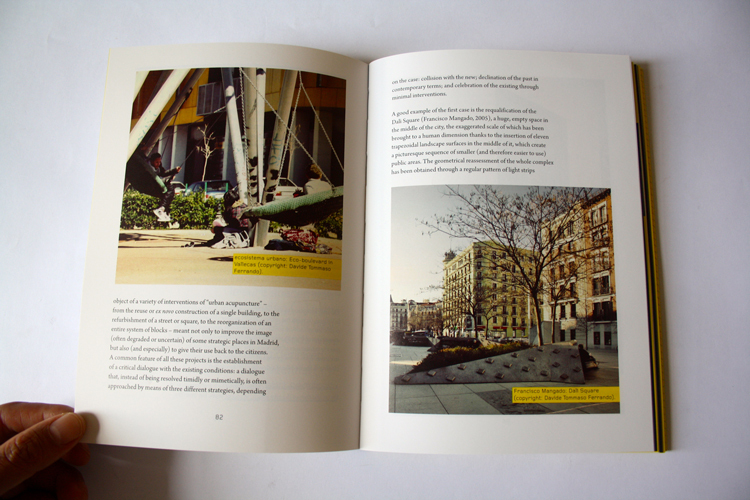 Book design: Gianni Sinni, Lcd. 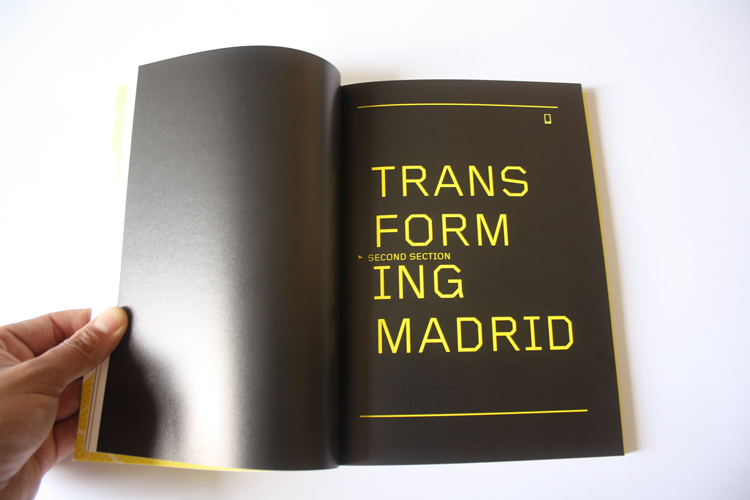 Size: 15 x 21 cms.